Using the INTOSAI SAI Performance Measurement Framework (SAI PMF), the Pacific Association of Supreme Audit Institutions (PASAI) and the INTOSAI Development Initiatives (IDI) have continued their collaboration to measure the performance of the Nauru Audit Office (NAO) against INTOSAI Standards for Supreme Audit Institutions (ISSAIs). The assessment team consisting of Ms Irina Sprenglewski, SAI PMF Advisor from IDI and Mrs Sinaroseta Palamo-Iosefo, PASAI’s Director of Practice Development conducted the assessment on 25 June to 5 July 2018. The SAI Performance Measurement Framework (SAI PMF) is a performance measurement framework specifically developed to assess the performance of SAIs. It is a holistic and evidence-based framework for voluntary assessments of SAI performance against the ISSAIs, as well as other established international good practices for external public auditing. SAI PMF is a multi-purpose, universal framework, and can be applied in all types of SAIs, regardless of governance structure, mandate, national context and development level. The SAI PMF examines both the internal processes of the SAI’s audit and non-audit functions in relation to its legal foundations and environment. This holistic overview provides the SAI with an objective basis to demonstrate ongoing relevance to citizens in line with the objectives in ISSAI 12 “Value and Benefits of SAIs – making a difference to the lives of citizens”. While the NAO - also known as the supreme audit institution in the global community of public sector or government auditors - measures the performance of other government entities, it was also critical that the performance of NAO was measured at some point. The role of the SAI is critical in strengthening accountability and transparency in Government. Assessing the performance of public auditors helps them identify their strengths and weaknesses and areas where improvement is required, so that necessary actions are taken to strengthen the NAO’s capabilities to enable them to deliver value and benefits to Nauruan citizens, through the audits they are required by legislature to conduct. The purpose of this specific assessment is to evaluate the performance of the NAO and to determine whether the NAO is achieving its goals. Furthermore, the assessment will document benefits of the work done by the NAO and constraints to providing services to audit clients, to help identify areas that need improvement. While the NAO has not officially adopted the ISSAIs, it has the objective to do so in the future and therefore wishes to benchmark its performance against the ISSAIs and other good practice. Mr Manoharan Nair, Auditor General of Nauru welcomed the assessment and is looking forward to using the results to help his Office identify areas of their operations that requires improving. Mr. Nair is confident that after the assessment report is in hand, his SAI could work towards overcoming its flaws, if any, and would be in a position to work further to promote good governance by strengthening internal control and auditing standards. He also expressed his gratitude to Asian Development Bank (ADB) for funding for the project, IDI for extending technical assistance and PASAI for advocating the gauging of the SAI. 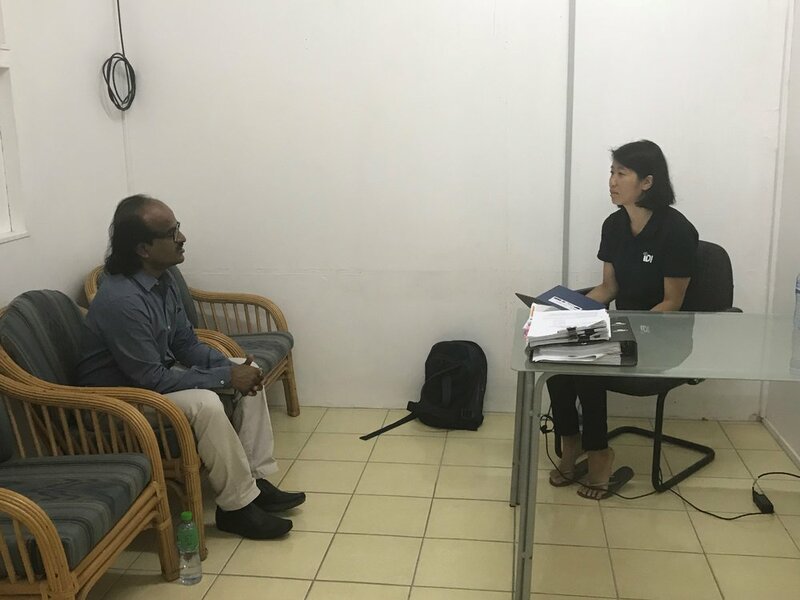 This assessment is supported by the ADB as part of the Technical Support programme delivered by PASAI for the Nauru Audit Office. IDI funded the technical support through Ms Sprenglewski’s participation as a member of the assessment team.